Set of six stubby holders with golf terms: Hole in One, Fore, Birdie, Par and Eagle. One for yourself and each of your mates. 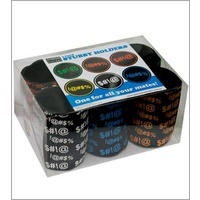 Buy this six (6) pack of stubby holders for the avid golfer with plenty of mates. Golfing terms Hole in One, Fore, Bogey, Birdie, Par and Eagle.